Veterinary Use only. U-40 Insulin Syringes. 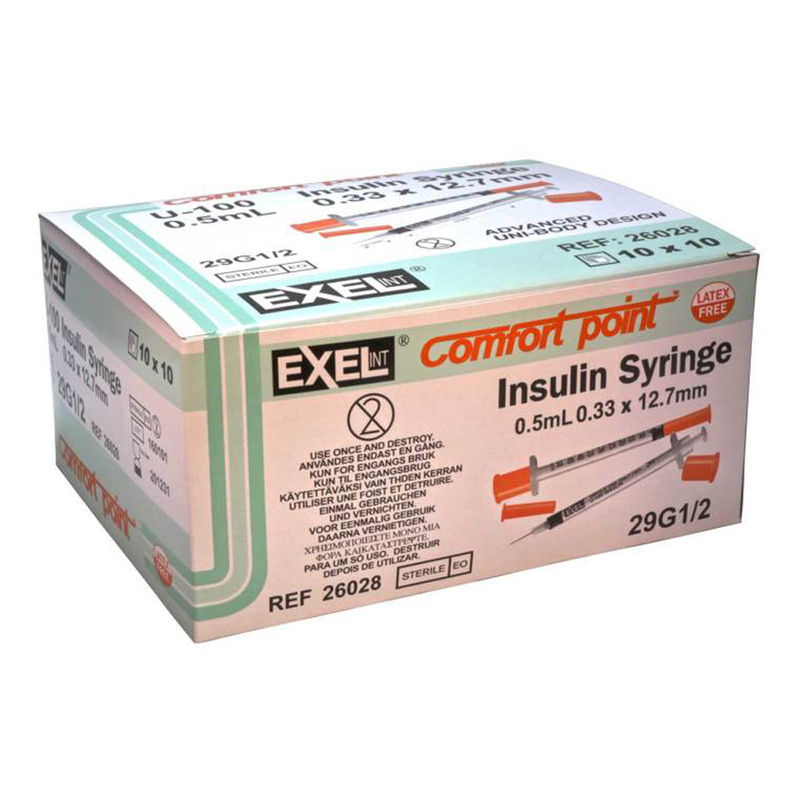 Exel International is known for unsurpassed quality at a low price. These syringes are latex free, sterile, non-pyrogenic and non-toxic. The design includes bold printing, clear graduations and siliconized gaskets for smooth consistent plunger motion and a positive plunger stop. Low deadspace. CE and ISO 9001 certified. Please select a size 1/2cc x 29g x 1/2" 1cc x 29g x 1/2"